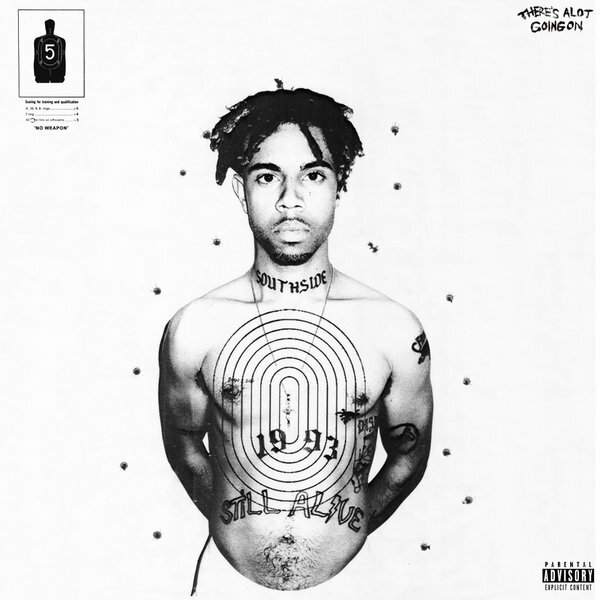 This past Friday, Vic Mensa finally released his EP: There's A Lot Going On. The style and demeanor of this EP is very similar to an album, with the same rises and falls. Mensa kicks in the EP doors with a hard first track. The sound takes a turn about halfway through and then eventually comes to a strong ending. This creates an overall cohesive sound giving the EP a sound more similar to an album then a mixtape. The way the EP is introduced is probably one of my favorite parts. Mensa starts off with Dynasty. Track one really turns the focus towards the lyrics. It's a track that is not over shadowed by the instrumentals. Later on in the song, the beat eventually drops but still isn't overbearing to the degree that it hides Mensa's lyrical performance. The track is filled with a number of references including one about Harry Potter, which let's be honest, is enough for a five star rating by itself. There's a little something for everyone on here: some very deliberately conscious songs, a couple of songs that let your mind rest, and a couple of songs that try out some different sounds. Yet, they all tell their own story. For example 16 Shots, Shades of Blue, and There's Alot Going On are definitely songs that will make you think. I had to rewind Shades of Blue a few times to really run back what I had just heard. Mensa touches on the Flint, Michigan water crisis, gun violence in Chicago, the murders of black youth by law enforcement, mental health, addiction, corruption, the list goes on. 16 Shots ends with the narration of a police encounter with Laquan Mcdonald. By the end Laquan is face down in the street with bullets in his back. It is strong imagery like this that is painted throughout the EP by Mensa's words and creative vision. I want to single out Liquor Locker because it is the only song on the album with a feature. It also stands out by having a sound completely different from the rest of the EP. To me its an interesting attempt at something that hasn't entirely grown on me yet. I like the concept and it's very clear there's a strong influence by Ty Dolla $ign who is actually featured on the track. I think that some new comers may think that it is an attempt to sound mainstream but I think that it goes back to his roots in the band Kids These Days. Really, There's Alot Going On is one of the realest titles I have seen for a project in a long time. It's simple yet it's true. There is so much going on in the world, in America, in Chicago, in Flint, in some of our own neighborhoods. This EP is really a reminder of all of the things we may have pushed to the back of our minds to cope with the every day. For that reason, it has my ear.